With the end of the year fast approaching, it’s time to start thinking about your New Year’s resolutions. However, if improving the health and appearance of your smile is one of your goals for 2019, it may be advantageous to get a head start before December 31st. That is because most dental insurance benefits renew at the start of each year, meaning any current benefits will expire if left unused. 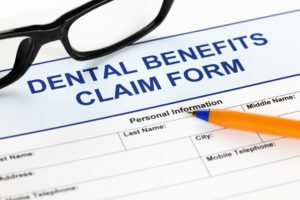 Don’t let the dental insurance benefits that you are paying for go to waste! As a dentist in Natick explains below, now is the ideal time to get the most out of your dental insurance coverage. Can you remember the last time you stepped foot in the dentist’s office? If it has been more than six months, then you are due for a routine exam and cleaning, according to the American Dental Association. Regular checkups allow your family dentist in Natick to keep track of the health of your teeth and gums, identify any potential dental problems and professionally clean your teeth. Best of all, most dental plans cover preventative services at 100%, meaning scheduling a checkup before the end of the year will likely cost you little to nothing at all. If you are considering a more extensive restorative treatment – a dental implant, for example – the end of the year is the perfect time to get started. This is especially true if you have already met your annual deductible come November or December. Pursuing restorative dental treatment once your deductible is paid and your annual coverage remains is ideal, as your out-of-pocket expenses will likely be dramatically reduced. Beginning restorative treatment before the end of the year is also recommended if you are getting close to your insurance policy’s annual maximum. If you start larger treatments now, you can split the cost over two years, using up your remaining dental benefits this year and taking advantage of your renewed benefits in 2019. If you delay treatment for minor dental issues now, they can grow into more serious problems that require extensive – and expensive – treatment in the future or even a trip to an emergency dentist in Natick. Don’t let a minor cavity grow and lead to a root canal. By using your dental benefits before they expire at the end of the year, you can address existing dental issues now and save yourself money in the long term. When it comes to your dental insurance benefits, it’s “use it or lose it.” Start the new year off right by starting early – talk to your dentist today about how to maximize your benefits and get the dental care you need. With 17 years of experience serving patients in the Metrowest area, Dr. Christina Papageorgiou’s commitment to providing the highest standard of care is undisputed. She is happy to file insurance claims on behalf of patients, whose focus can remain squarely on receiving the dental care they need. If you have questions about your dental insurance, feel free to visit the Papageorgiou Dental Associates website or call the office at 508-545-1126.